Point2 Homes gives you far more than a simple list of houses for sale. Get instant access to a lot of relevant information about Cabbagetown, Toronto, ON real estate, including property descriptions, virtual tours, maps and photos. The search results pages also have a wealth of information on Cabbagetown, Toronto, ON, if you scroll all the way down. There are 19 houses for sale in Cabbagetown, Toronto, ON. 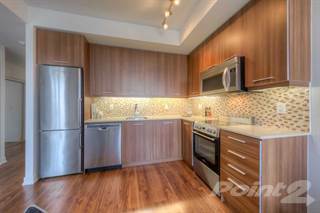 Searching homes for sale in Cabbagetown, Toronto, ON has never been more convenient. 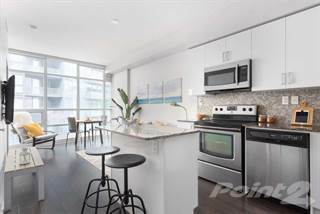 With Point2 Homes, you can easily browse through Cabbagetown, Toronto, ON single family homes for sale, townhomes, condos and commercial properties, and quickly get a general perspective of the real estate prices. Also, you’ll never miss a bargain if you filter listings based on house price drops in the past six months. 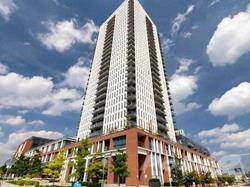 Use the map view to find Cabbagetown, Toronto, ON homes and apartments for sale, based on amenities or city features that you may want close by. You can close in on a specific neighbourhood or area by simply drawing around them with the polygon or radius tools. Stay informed about the latest entries on the real estate market by saving your searches. This way, you get new listings in your inbox, daily or every week, based on your preferences. If you’d like to get in touch with a professional, agents are displayed next to their listings, and they’re easy to contact through the online forms. 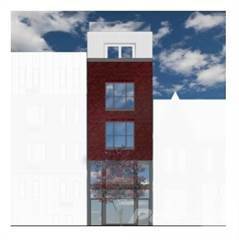 If you want more options, you can click the Tools tab and Find an Agent, and you’ll get a list of helpful and knowledgeable real estate agents in Cabbagetown, Toronto, ON. Visit the Point2 Homes blog and you can find up to date expert advice on many markets throughout Canada, regular market reports, neighbourhood scoops in cities throughout the provinces, real estate deals and useful recommendations. If you had wandered through the village of Don Vale in the late 19th century, you would have been struck by all the cabbage growing where front lawns should have been. Many of the Irish immigrants who made their homes in the area replaced their grass lawns with cabbage plants. Times were tough and food was scarce, and the moniker of Cabbagetown has stuck ever since. The boundaries of Cabbagetown are sometimes debated. The common public opinion is that Cabbagetown stretches to Wellesley in the North and Gerrard in the South. Sherbourne marks the Western boundary, and then the neighbourhood runs until the Don River in the East. Cabbagetown is one of the most historic and well-preserved areas in the Greater Toronto Area. Victorian homes and giant stone churches that are more than 100 years old line the streets. The Cabbagetown Preservation Association works hard to try and maintain the historic character of the neighbourhood. One of its largest accomplishments has been the designation of a large portion of the neighbourhood as a heritage conservation district. The neighbourhood is filled with homages to history. At many houses, there are small blue plaques honouring “heritage heroes” that the city and the neighbourhood wanted to recognize. In addition, the neighbourhood is home to the Toronto Necropolis, one of the oldest cemeteries in the city. It is the resting place of many prominent Canadians, including William Lyon Mackenzie. This community is home to many of the city’s most successful people. Celebrities, lawyers, financial professionals and regular citizens all call the neighbourhood home. Despite the variety of people who live her, Cabbagetown is still very much a community. Despite having been part of Toronto for more than a century, it still feels in many ways like a stand-alone village. Businesses in the area are mostly small and locally owned, and walking down the side streets of Cabbagetown feels like walking through Toronto, Ontario from a century ago, rather than the 21st century metropolis it has become. Touches like the Riverdale Farm, a working farm in the heart of a modern city, truly make the neighbourhood feel displaced in time. For people who love food, Cabbagetown has a lot to offer. Small, local restaurants and shops line the main commercial corridors of Carlton and Parliament. The Scullery is a tiny coffee shop with a reputation big enough to reach the entire city. If you’re after fine dining, Peartree Restaurant or F’Amelia provide a more upscale dining experience. Cabbagetown also caters to those who like to cook at home. Fine ingredient and local grocery stores can be found here to provide an alternative to grocery store chains. Daniel et Daniel provides fine food ingredients and prepared foods. Lennie’s Whole Foods is a grocery store that focuses on health food products. If you love craft beer, try Stout Irish Pub. Their extensive tap line is dedicated completely to craft beer. Stout is home to one of the best beer menus in the city, and is easier to get into than some of the busier downtown beer hotspots. If scotch is your drink, the House on Parliament has a great scotch selection (and their beer list is pretty great as well). If you want some entertainment with your pub, try the Flying Beaver Pubaret, which offers a wide variety of cabaret style entertainment. Theatre is also often happening at the Winchester Street Theatre. In addition, many of the local dance schools also host performances. Cabbagetown’s streets are lined with detached and semi-detached homes. There are also some historic buildings that have been converted to multi-suite dwellings. 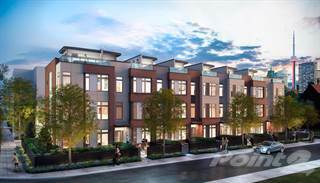 Add a few streets lined with townhomes to the mix, and you can have your pick of housing style if Cabbagetown is a neighbourhood that interests you. Housing prices in the area can be high, especially for detached homes. These tend to be large, old Victorian structures with high prices. However, if you’re shopping for a semi-detached home or condo, you can find things at much lower price points. Historic preservation regulations affect many homeowners in Cabbagetown. Because of the designation of the district, you will have to apply for a heritage permit if you’re making exterior renovations to a home that falls within the historic district’s boundaries. It is hard to find a more peaceful part of Toronto than Cabbagetown. When you wander down the residential streets, there is nothing to tell you that you’re actually in the heart of a major metropolitan city. Although the commercial strips along Parliament and Carlton are slightly busier, they are still very quiet and pollution free compared to much of the city. Cabbagetown is a relatively safe neighbourhood. According to the 2011 CBC Crime Map, Cabbagetown ranks just over the average for assaults compared to the rest of Toronto. Toronto is statistically the safest city in Canada, which makes Cabbagetown a very safe neighbourhood compared to the rest of the country. Although violence is rare in Cabbagetown, mischief making is not. A Stats Can report from 2012 puts Cabbagetown among the mischief hotspots in the city. Cabbagetown is a very family friendly neighbourhood with various educational options, especially for younger children. The Nelson Mandela Park Public School is another historic Cabbagetown landmark, being the oldest school in Toronto still on its original building site. There are 5 other public schools that run from K-6, K-8 or K-9 within the area. Dance education is very plentiful in this part of Toronto. The School of Toronto Dance Theatre is located in a historic building in a quiet part of Cabbagetown. The Canadian Contemporary Dance Theatre is only a few blocks away. Dance Umbrella of Ontario, an organization that supports dance companies in the province, is also located in Cabbagetown. The Laya Bhava Dance Academy also has a location in the neighbourhood. Finally, just a few blocks to the west of the Cabbagetown boundary is the National Ballet School. Several subway stops are within a very close walk of Cabbagetown. At the north end, both Castle Frank and Sherbourne stations are less than a few minute’s walk from Cabbagetown’s borders. The 506 Carlton streetcar provides accessible east-west transportation through Cabbagetown. The Dundas streetcar also passes along the south edge of the neighbourhood. Cabbagetown is very popular with families. With numerous educational options nearby, and a quiet, safe neighbourhood to live in, many families choose to raise their families in this part of town. 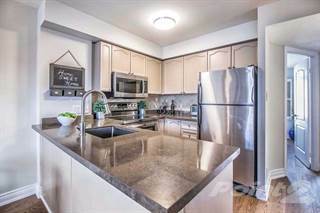 The close proximity to downtown is convenient for career minded-parents, while providing a community feel that is hard to find outside of the suburbs. There is a fairly even split between couples with children and couples without children living in the neighbourhood.